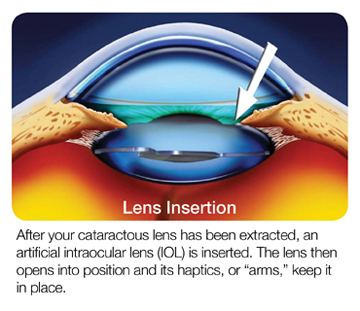 When the clear natural lens inside the eye has lost its clarity, it is called a cataract. Cataract surgery will remove this cloudy lens, and replace it with a clear plastic implant called an IntraOcular Lens or an IOL. IOLs can have a wide range of capabilities. Given as they are a lens, they can have different focusing properties. IOLs can be correcting for a single focus point, correct for astigmatism, or correct multifocally..
Standard, single focus implants are the implant used for many patients. 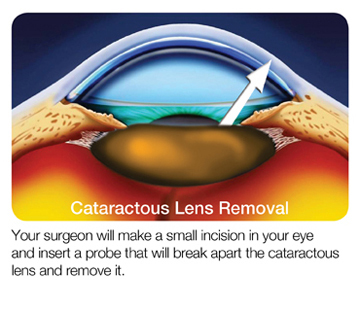 The do not correct for astigmatism and are covered by all insurances at the time of the cataract surgery. The single focus implants are ones that can correct one's vision to either near or far, but not both. Most patients prefer having their vision best corrected for distance. Monovision is also an option that can be done with single focus implants for some patients. In cases of monovision, these patients have had monovision contact lenses used for many years. Trying this option anew is strongly discouraged. The Multifocal implants correct for vision at all distances - near, intermediate, and far. These lenses allow for many patients to be free of spectacles. Their advantage is the true capacity to provide a much more functional ability; ability to drive, read a cell phone, read the dash, read a note. For more strenuous activities such as doing taxes, or prolonged detailed work, at times, a minor pair of corrective lenses may also make such tasks more comfortable. There are several types of these implants that are FDA approved: ReSTOR, ReZoom, and the newest to the market - Tecnis Multifocal. It is very important to note that the multifocal implant may not be the best choice for all patients. Some patients with some eye conditions, such as macular degeneration, may be better candidates for monofocal implants. 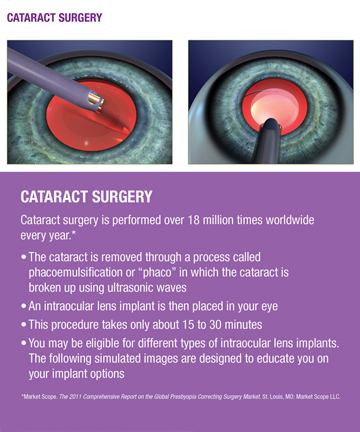 Dr. Oster has performed thousands of cataract surgeries and implanted hundreds of multifocal implants.